PreSense congratulates Indian Scientists for making every Indian proud through Mission Sakthi. 1. Editorial : Susan Koshy writes on the need of our exercising our constitutional duty by voting in the coming General Elections 2019 to elect 17th Lok Sabha. 2. 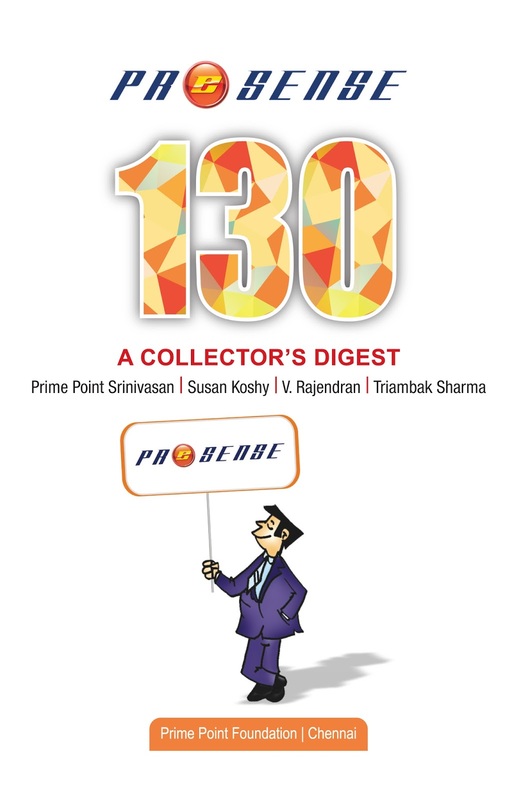 Cover Story: Prime Point Srinivasan writes on the impact of social media in the 2019 General Elections. He analyses whether social media would be the gamer changer. 3. Nation: Doordarshan, our National broadcaster celebrates 60th Anniversary shortly. T N Ashok interviews exclusively Ms Supriya Sahu IAS, Director General of Doordarshan. 4. International : Dr R Jagannathan writes on the Global scenario of School Education. 5. Technology : V Rajendran writes on 'Digital disputes'. 6. Triambak Sharma's Prince cartoon. The eMagazine may also be downloaded from the link. We request you to kindly share this with interested people. 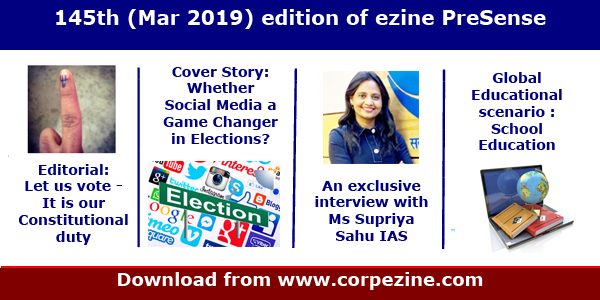 Kindly share your feedback with us to our mail id editor@corpezine.com.